Kerry Hammond is here with an exciting announcement about one of her favorite mystery series on Acorn TV. Acorn TV, which streams British mysteries, dramas, and comedies—with a bit of Australian, New Zealand and even Canadian TV thrown in—has just announced that there will be a season two of the Agatha Raisin mystery series. 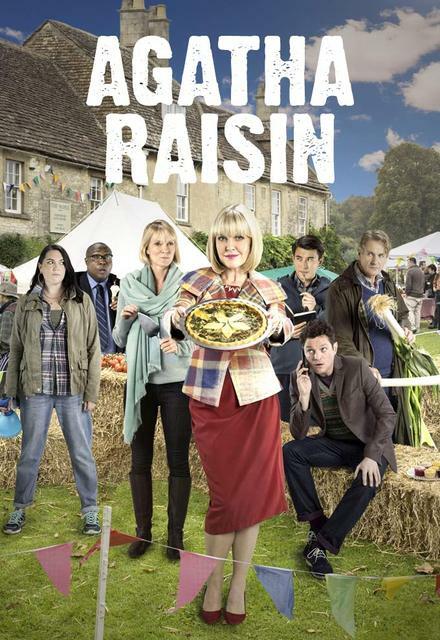 Agatha Raisin mysteries are based on the books by MC Beaton, which feature an ex-PR exec who has retired young and moved to a small village in the Cotswolds. She may have left her busy London life, but soon finds that village life is full of its own kind of charm, usually ending in murder. With the help of a group of friends, which include the local policeman, she becomes quite the puzzle solving sleuth. Season one introduced us to actress Ashley Jensen, who really does a spectacular job of playing Agatha. As usual, the television version differs from the books, but the show is so good that it’s easy to go with the changes that were made. The supporting characters are excellently cast and there’s quite a bit of humor to go with the murders. Season two will consist of adaptations of three of Beaton’s novels. They will start filming the series in April of 2018 and plan to release the shows at the end of the year. Therefore, you have plenty of time to watch, or re-watch, season one. For a review of season one on Mystery Playground check out Agatha Raisin: Series One.